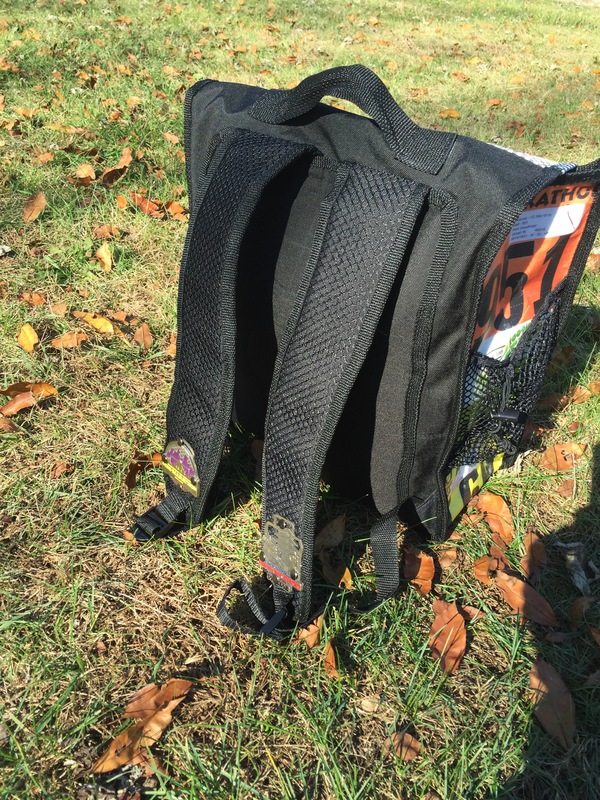 Product Review: Bibs2Bags – Daddy, Did You Win? This is maybe the most excited I have been to do a product review. 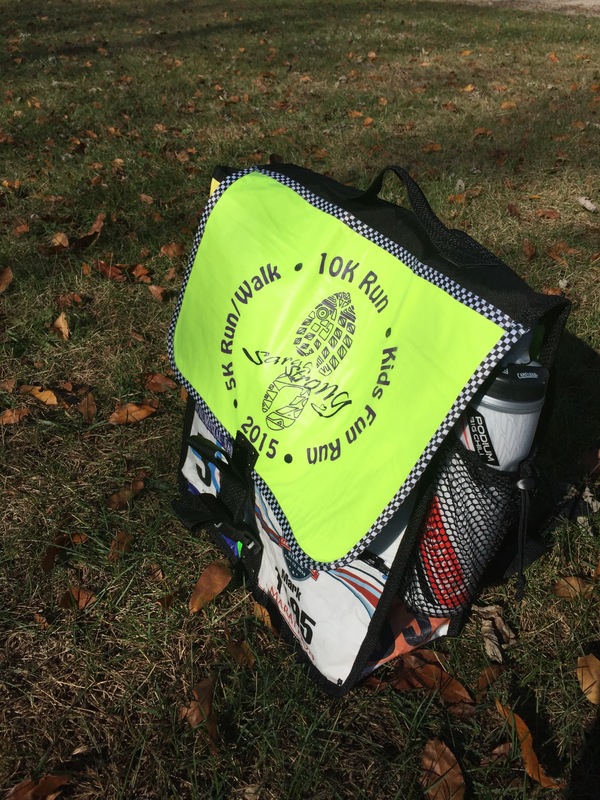 In late September, I started to talk with John Newman from Bibs2Bags about possibly having a bag made for me. 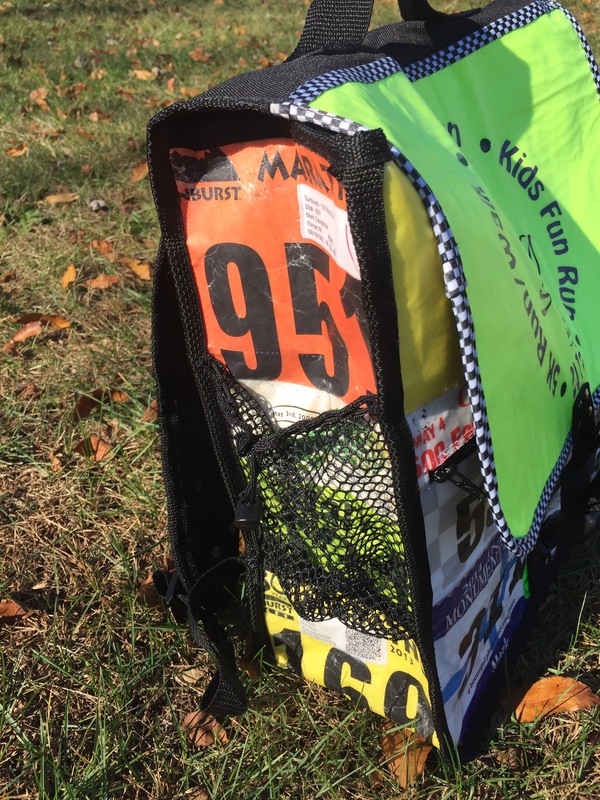 Bibs2Bags specialize in taking your race bibs, shirts, and medals and making a one of a kind bag out of them. The styles of bags include tote bags, portfolio bags, duffel bags, gym bags, purses, and wristlets. 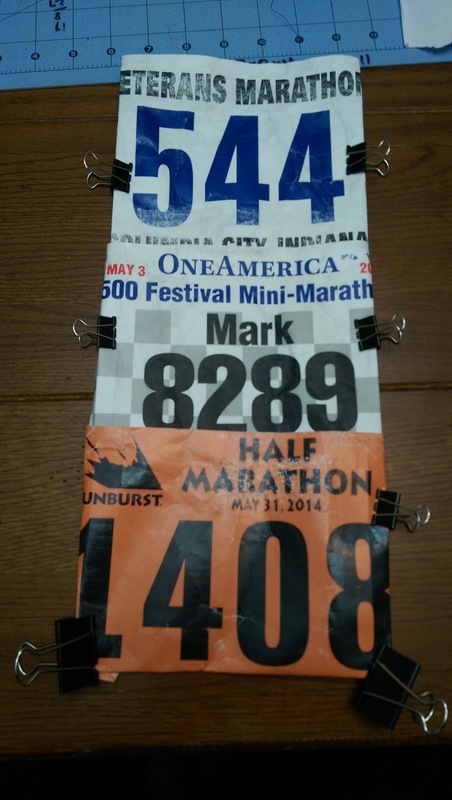 Basically they offer a different way to display your running memories instead of them just sitting around, cluttering your home. The one thing I noticed on their website (click Here to go to website) is that they didnt have any examples of backpacks at the time. I sent John a message about the possibility of making a backpack style bag for me. 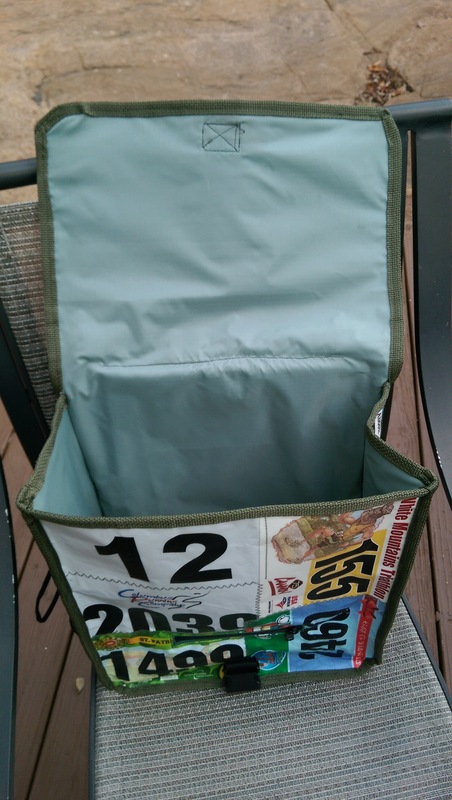 After talking about how big the bag would be and how many bibs it would take, I decided to go for it. The communication between John and myself did not end there, as he asked for my opinion every step of the way. 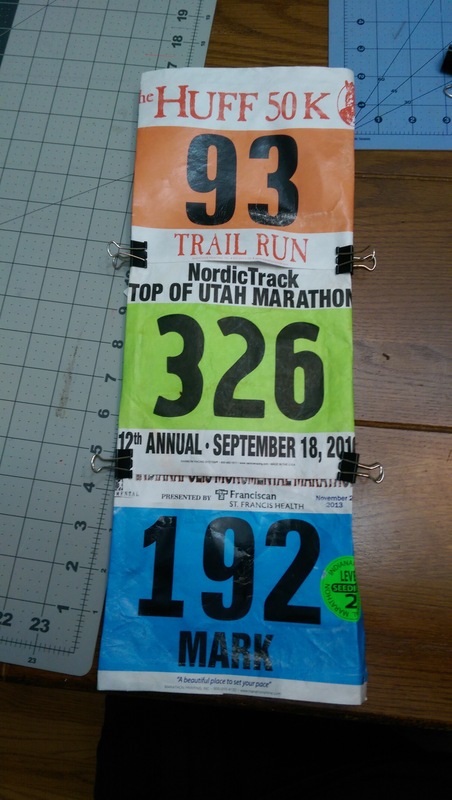 On October 1st, Bibs2Bags received the 15 race bibs, 2 race medals, and 1 t-shirt that I mailed to them to be used on my bag. John notified me when they came in along with some questions he had about specifics of my bag, such as: will the bag be for general use or specific use (work, going to events, elect. 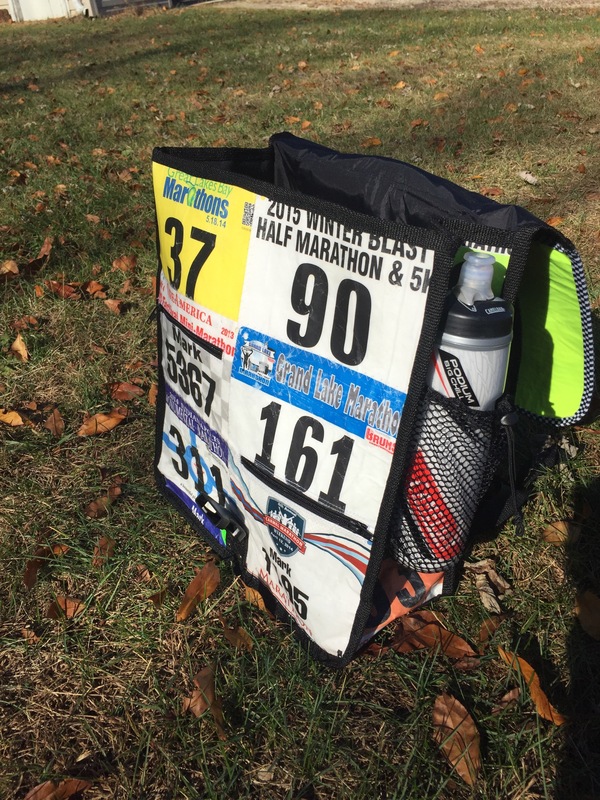 ), would I like a padded compartment for a laptop, one or two water bottle holders, what color would I like to be used, and do I have any specific bibs to feature. 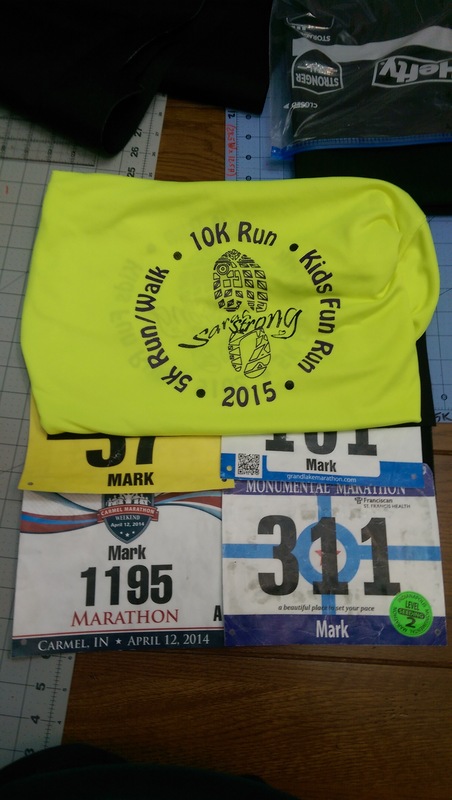 John followed through with every request I had including featuring the Sarah Strong Run (which I am the race director) race shirt as the primary focus. 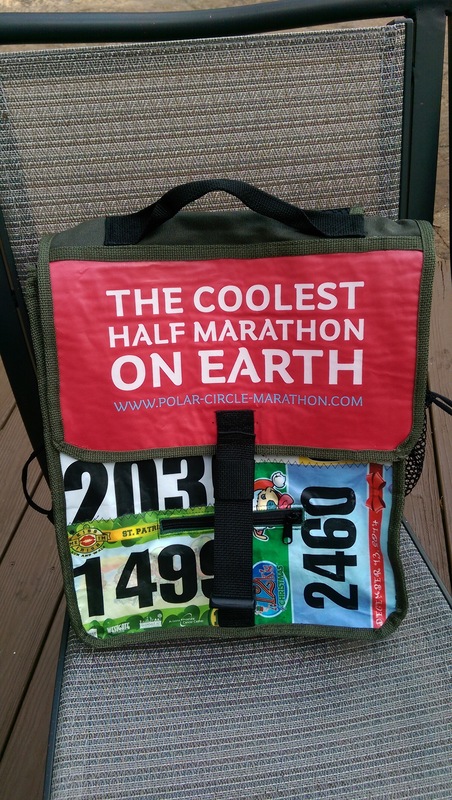 It did take a little extra time for them to do my bag because, they needed to create a model that would work best, with a couple pockets and fit the bibs. 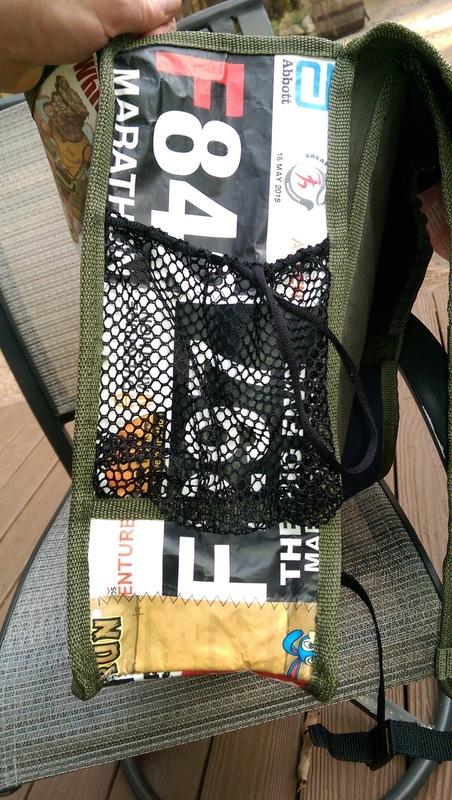 After they came up with the model, they sent me pictures of what it would look like and placement of the bibs. Two pockets on the front. Both will hold a cell phone, but also your gels, keys, ect. The inside of the bag is quiet large as well. 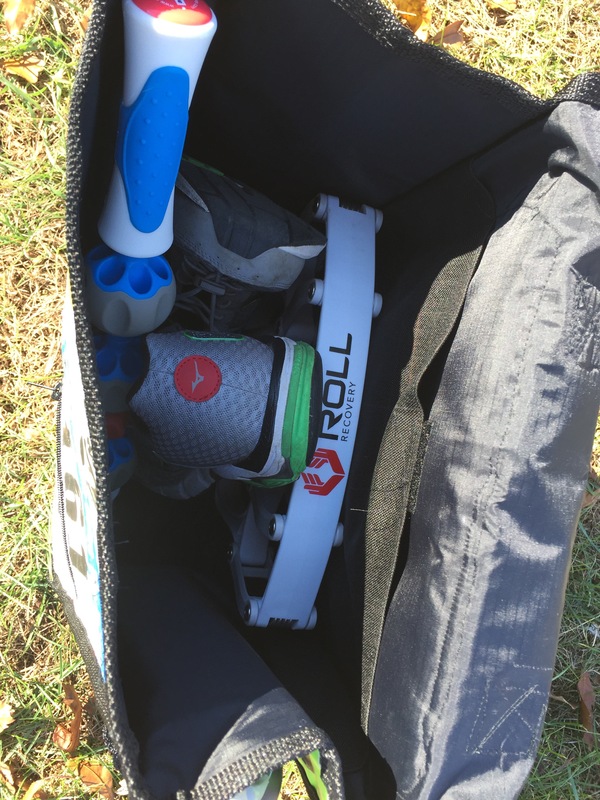 Large enough to carry your running shoes and other running accessories. 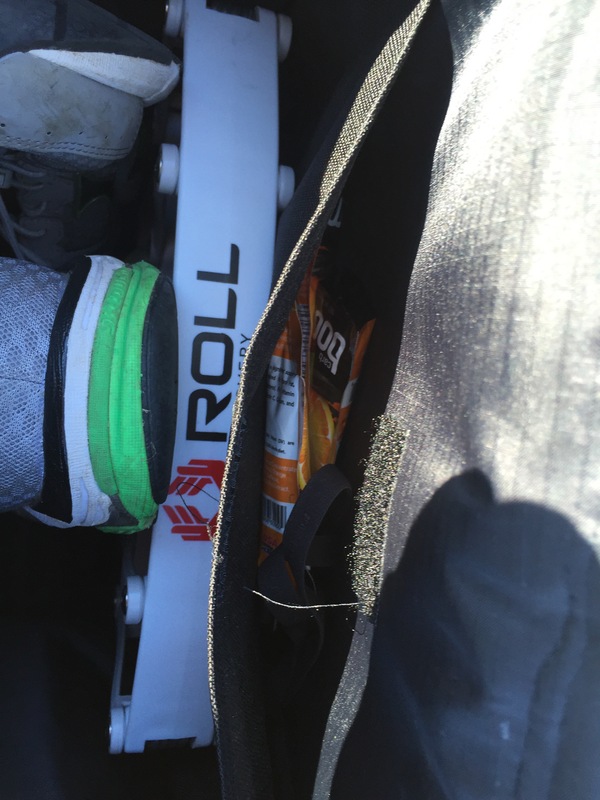 On the inside is also another pocket to hold gels and other smaller items that does velcro shut as well. If you also decide not to go with the padded pocket for a laptop as I decided not to get, a mini iPad will fit in the interior packet as we. 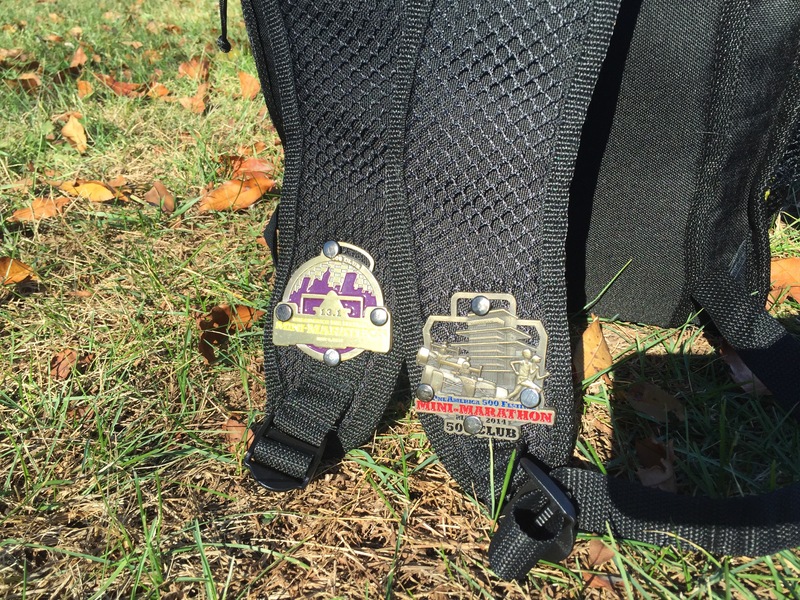 The finishing touch is the finishers medals which were placed on the straps of the bag. I just wish I would have sent in more medals for this area but that’s my fault. 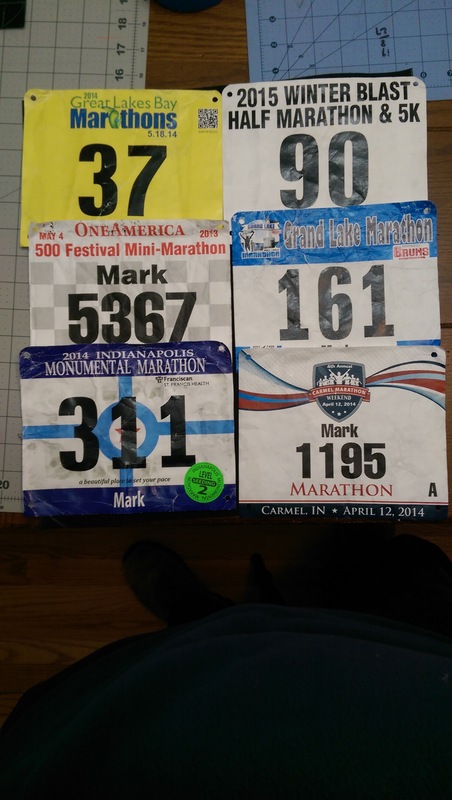 Anywhere there is s bib or shirt, there is laminate over them which makes for very easy clean up. The whole process from initial contact to delivery of the bag was very easy and great. The people at Bibs2Bags were great to work with. 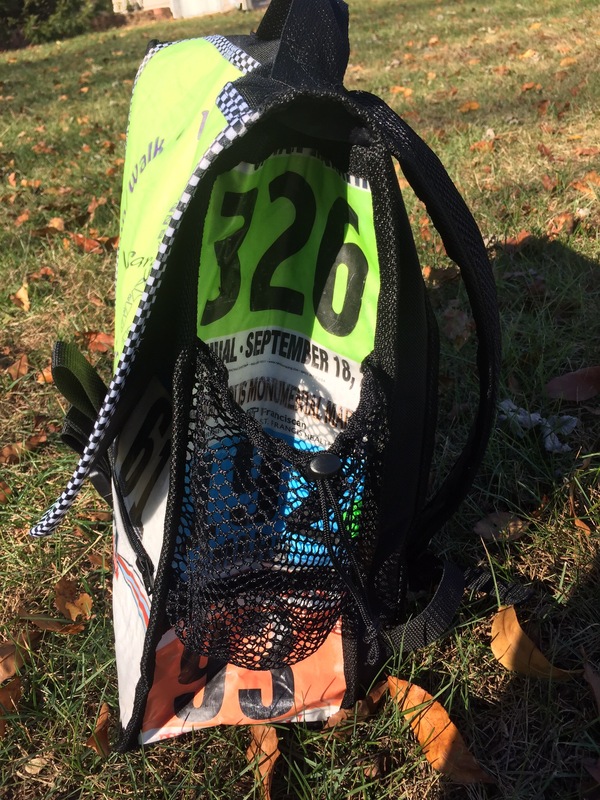 I encourage anyone who has pile of race bibs, shirts, or medals who don’t know what to do with them, consider contacting Bibs2Bags and have them make a bag for you. The quality is awesome!!! This is a bag I look to use for many years to come. 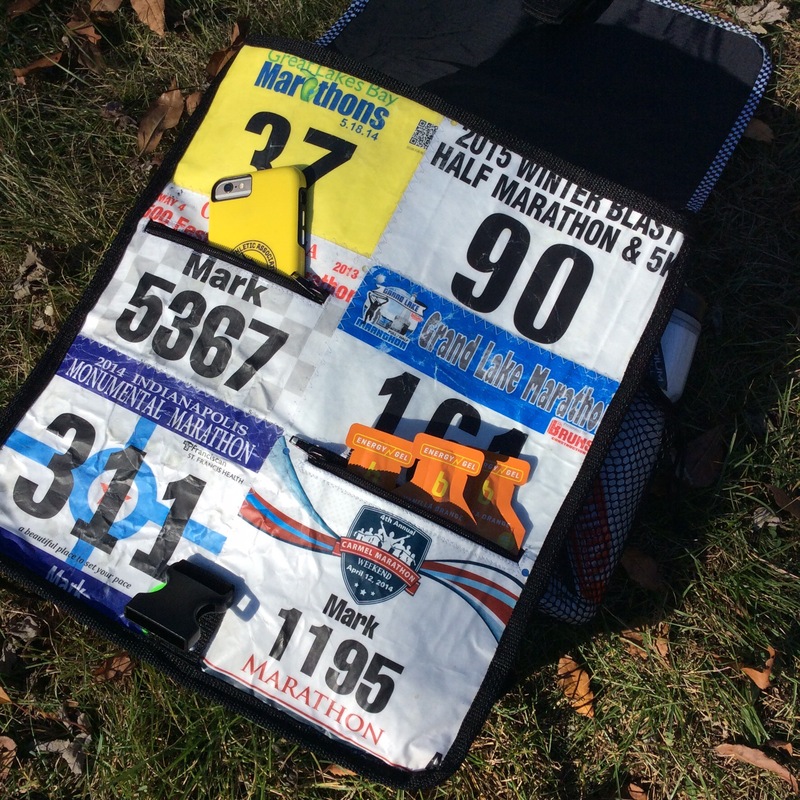 Find Bibs2Bags on Facebook, on Twitter: @bibs2bags, and their Website. You can also email them at bibs2bags@gmail.com.